Jamal Crawford had been on the trade block since February last year. Doc Rivers recently said in an interview that he would be surprised if Jamal Crawford doesn’t finish the season as a Clipper. And while Rivers could be right, the other, harsh reality is that the Clippers will not trade Crawford just for the sake of unloading his contract. They want something in return, and few teams will offer goodies for a 30+ years old backup guard that doesn’t defend. Crawford can light it up on a given night, and he is way more consistent in doing so than someone like J.R. Smith for example. With that being said, what the Clippers can expect to get back? The Clippers could use a backup small forward and swingman, preferably someone who can defend. They could also use a backup center. This would be an underrated move by the Clippers, but the Sacramento Kings have a player that the Clippers could use, and his name is Omri Casspi. With the signing of Marco Belinelli, the Kings will probably have fewer minutes to offer to Casspi. Omri is a decent defender, and good enough shooter from the distance to work in Clippers. The problem might be the Sacramento Kings organisation, as they already have a logjam at the guard position. However, the Clippers can solve that solution, taking back Darren Collison as well as Casspi. Collison has previously served as a backup to CP3 and played for Doc Rivers in Los Angeles. Or they can try to find a third party to facilitate the trade. In any case, Casspi would fill a role in Los Angeles, and he costs $3 million per year, compared to Crawford and his $4.6 million per year contract. The Miami Heat were among the teams mentioned during the summer as a likely destination for Jamal Crawford. They would love to have him, but the Clippers might be asking too big of a price. 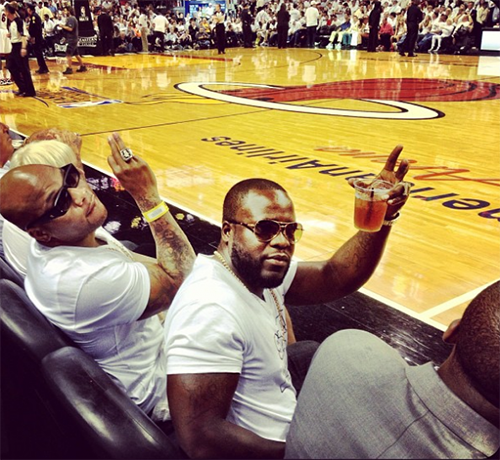 If not, the Heat have the contract of Chris Andersen to offer. The fun part is that this trade looks perfect on paper, as the Clippers will shed money and get a decent backup center in return. Andersen does the same things as Jordan, which is getting lobs, defend, and putbacks via offensive rebounds. The difference is Jordan is more talented and younger. The Detroit Pistons acquired Steve Blake in a trade this summer before he even get to play for the Nets. And the likely scenario is that they would trade him as well, as long as they get a good player or a pick in return. Blake is an ideal candidate for backup in Los Angeles, as he is a stable point guard, one that can run the offence and doesn’t commit turnovers. He is also decent spot-up shooter and costs less than $2 million per year. The Toronto Raptors desperately need someone outside of Kyle Lowry and DeMar DeRozan to score. Jamal Crawford fills that void. The Raptors would have to give up Terrence Ross, and they wouldn’t mind to. Ross looks like he is not part of the Raptors future, and with the signing of DeMarre Carroll, he will see even fewer minutes next season. Ross could be a valuable backup SG/SF in Clippers, and he fits well into their strong roster. Don’t miss any of the action! 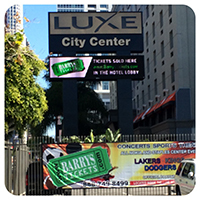 Barry’s Tickets offers the largest physical assortment of the regular season and LA Clippers game tickets on the web and in person. Barry’s Tickets offers seats to match all budgets including Clippers Courtside Tickets, Lower Level, Premiere Level, 200 & 300 level tickets as well. Barry’s Tickets can get you into the game even if its last minute! The Atlanta Hawks February Schedule is very kind to them. While there are duels with the top teams in both conferences, there are also duels with bottom feeders such as Minnesota and Boston. Atlanta has managed to win almost all of their games following Thanksgiving, losing only twice since then, but the real test is still ahead. The top spot in the East is nearly wrapped up. Even though they’re almost 40 games to be played, the Hawks have a huge lead of 7+ games, and they are likely to fall. The Hawks February Schedule of games at the Philips Center is averaging $105.00 per ticket. Hawks average ticket prices are up 16.66% since the January 1st. Atlanta is looking to have a much better February in the 2014-15 than last season. In the 2013-14 Hawks February schedule of games, they went 2-10. The Wizards are the second best team in the East, but the Hawks have already spanked them twice, both home and on the road. However, the duel between the top two teams in the conference is always appealing, and who knows, Washington might finally find a way to beat Atlanta. The task starts on the defensive end, where the Hawks get too many open looks and transition points. The duel everyone waits for will finally happen. Nobody expected the Warriors and the Hawks to be the top teams at this point of the season. However, the two teams are playing the best basketball at the moment. Both teams are in the midst of a great winning streak. Who will win the first duel between the two? We will surely find out and then wait for their next duel in March. As mention, the Hawks February Schedule includes few games versus easy opponents. The Celtics are one of those teams that might come as a welcome breather for the Hawks. Even though Boston is playing good lately, winning three of the past four games, Boston is not a team that can scare the Hawks off. This game is also one of the few road games the Hawks play in February. The Raptors are the only team to beat the Hawks two times this season. Additionally, the Raptors are also one of the few teams to score 100+ points two times versus the Hawks. Toronto was the best team in the East a month ago, but the Hawks have gotten the first spot, and even made a huge difference that it will be hard for anyone to catch them. The duel will feature an interesting battle at the point guard position, where Teague will be tested versus Kyle Lowry. The Mavs are the second-best offensive team in the league, and will surely pose a challenge for the defence of the Hawks. The first matchup between the two teams was a close one, with Atlanta winning 105 – 102. The Mavs had Rondo back then, but he is now more adapted to his role in the offense and defense. Save on tickets for the Atlanta Hawks February Schedule of home and away games. All Atlanta Hawks February Schedule Ticket Prices are subject to change. Prices based on the secondary ticketing market. The Wizards enter a crucial month for their season. February is a short month, with a week rest during the NBA All-Star game (for those who do not participate), but a significant month. Teams usually gain steam after the break, and Wizards are one of those teams that could use the time off. The Wizards could also use a push in the standings, as they are currently ranked second behind Atlanta, but they are closely followed by the Raptors, Bulls and Cavaliers. Being second allows the Wizards to have a home-court advantage up until the East Finals. In the 2014 Wizards February schedule, they went 8-5 in their 13 games. The Wizards averaged 105.2 points a game. In 2013 the Wizards went 7-5 averaging 94.9 points a game. In 2012 they went 3-11 and averaged 98.6 points. Each of their last three seasons the Wizards February schedules of games they have averaged the most points of any month. Wizards February schedule ticket prices since the 2012 season have been $68.00 per ticket on average. The 2014/15 season is no different as the average ticket price for games Wizards tickets is $67.00 per ticket. The Washington Wizards February Schedule will include six home games at the Verizon Center DC. The Wizards February Schedule of road games will consist of six away games. Five key games in the Wizards February Schedule. Everything points towards the Hawks being the best team in the East. While many assumed that the road to the Finals in the East would go through Chicago and Cleveland, Atlanta is playing the best basketball in the league right now. Additionally, the Atlanta Hawks won the first two duels between the teams, so it is time for the Wizards to show their worth. The first duel between the two teams finished with a big win for the Toronto Raptors. They will meet by the end of January in Washington, and their duel in Toronto will be the last before the playoffs. Simply put, the Wizards could use a win to get some separation for the second seed in the East. They currently lead the Raptors by 1.5 games. It has been a while since the Cavs and the Wizards were rivals. Back in the time Gilbert Arenas was running the show. Now, the Wizards will try to hold on for the second seed in the East. The Cavaliers are gaining steam, and Lebron James is playing at an MVP level after sleeping the first half of the season. This will be the first game after the All Star break, so both teams should be well rested. The best team in the league comes to town, as John Wall and his buddy Bradley Beal go against the Golden State Warriors Splash Brothers. Wall announced he and Beal are the best backcourt in the league before the season started. He will have the chance to prove it. The Wizards might find it hard to score versus the best defence in the league, and they will have their hands full on the other end as well. Even the best teams can slip versus a bad team. The risk is always there. 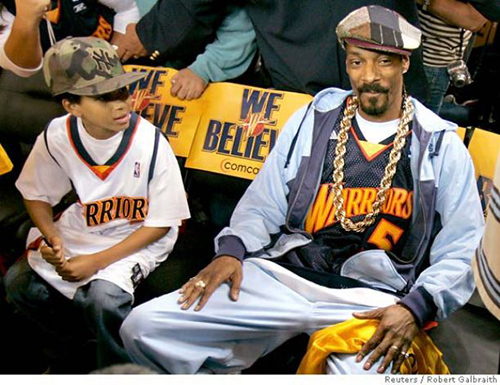 For Washington, this is a chance for an easy win against the Timberolves, after playing the Warriors the previous night. However, travelling from one coast to another, and then playing a game on the road is never easy. That is the challenge for the Wizards in this game. Use our Promo Code NBA2015 to save on all games in the Washington Wizards February Schedule! All Washington Wizards February Schedule Ticket Prices are subject to change. Prices based on the secondary ticketing market. The Toronto Raptors started the season strong, but the injury to DeMar DeRozan was a big problem for them. However, the team is getting back on track, and they are on pace to win the Atlantic Division for the second year in a row. But with the improved play, the appetite of the team has grown, and they look to build on the success from last year’s playoffs and do better this year. With the East seemingly wide open, the Raptors have a chance to get to the East Finals at least. Here are their most important games remaining on the 2015 raptors schedule. Toronto Raptors Ticket Prices currently for their home games at the Air Canada Center average $65.00 per ticket. 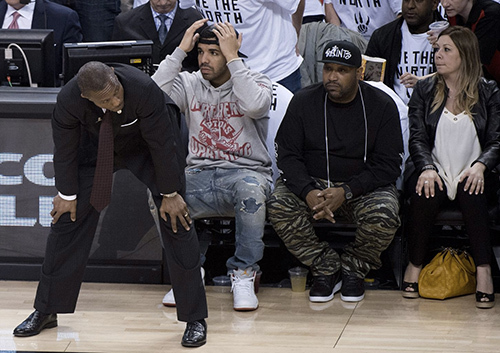 Toronto Raptors ticket prices have fallen -40% from their $110.00 per ticket average in 2014. The Raptors and the Wizards will probably fight for the second seed in the East, which guarantees home-court advantage until the Eastern Conference Finals. Given the support, the Raptors enjoy at their home, and the atmosphere, there is probably not a team in the NBA that would prefer to play in Toronto during a playoff matchup. Home court will help Toronto a lot in the playoffs, and the road for higher seed goes through Washington. The 2015 Raptors Schedule has the Wizards & Raptors playing twice. 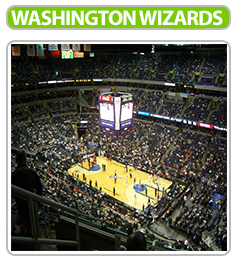 View all Raptors vs Wizards Tickets for the Verizon Center. If the playoffs started today, the Bucks and the Raptors would meet in the first round. Chances are, they might even meet in the first round come April. The Milwaukee Bucks are probably stuck in the 6th spot, with likely chances of moving up, and no team that can overtake them. The Raptors, however, are not bound for the 3rd spot. Their two duels this season were wins by the Raptors, and they should win one more so that they can demoralize the Bucks before the playoffs. Raptors ticket prices start at $23.00 per ticket. View all Raptors vs Bucks tickets for the Air Canada Center on the 2015 Raptors Schedule. The Raptors beat the Hawks in October and November. However, since the Hawks went on a roll, the teams meet in Toronto, and the Hawks routed Toronto. Now, the Raptors have the chance to return the favor. They do not necessarily need to rout the Hawks, but a win or at least being competitive in the game would show the Raptors can handle the hottest team in the league at the moment. View all Raptors vs Hawks Tickets for the Philips Arena & Air Canada Center on the 2015 Raptors Schedule. Despite the loss of DeRozan for a month, the Raptors have the 4th best offence in the league. The Warriors, on the other hand, are the best defensive team in the league this season. In their first duel, the Raptors managed to score 100+ points, but they allowed nearly 130 points. How they can handle a great defensive team like the Warriors will show how far the Raptors can go in the playoffs. Raptors ticket prices start at $83.00 per ticket for this game. Luckily for the Raptors, the Bulls are going through a tough stretch, and they didn’t overtake Toronto’s spot in the rankings. The bad news, however, is that Chicago beat Toronto twice this season, and with one more win they will have the tiebreaker should the win/loss column is equal. The teams play on March in Chicago as well. Raptors ticket prices start at $61.00 per ticket for this game. Chris Michaels I live in Los Angeles, CA and work as an Chief Information Officer at Barry’s Ticket Service www.barrystickets.com. Connect with me Chris Michaels on G+ today. Toronto Raptors Ticket Prices Are Based On The Secondary Ticket Market. It took few months, but the Bulls look like the championship contender everyone envisioned them to be. Derrick Rose is as healthy as ever, he is relentless to the basket, the signing of Pau Gasol is the most underrated signing of the summer, and Jimmy Butler is arguably the best player on the team and one of the top 10-15 in the league. Tom Thibodeau is still manning the sidelines, expecting and demanding perfection and effort from his players, and the results are finally showing on the scoreboard. Their defence is not up to the level we are accustomed to seeing, but their offence is top notch. With that being said, the season is long, and the following five are some of the most important games for the Bulls. The Chicago Bulls have moved into first place in attendance at the United Center with an average of 21,944 passing the Cleveland Cavaliers at 20,562 per game. In 2014 the Bulls average attendance was 21,716 with a 17,551 attendance average on the road according to ESPN. At the end of the 2014 the Chicago Bulls ticket price average was $120 per ticket which has dipped 14.16% to start off the 2015 season to $103.00 per ticket. Nobody expected the Bucks to compete for the division title in the Central division. But months into the season, the Bucks are competitive as ever, which makes their duel with the Bulls even more interesting. Chicago won the first duel in Milwaukee, and the Bucks might look for revenge on the opposing team floor. View all Bulls vs Bucks tickets for the United Center. By February, LeBron James should be back in uniform, the Cavs should have things figured out, and this might be the best duel the two teams have in the regular season. The first clash of the Central division rivals was won by Cleveland, and it was a high scoring game. But that was in October when Derrick Rose was rusty, and Butler was a role player. Now, Rose is healthy and spry, and Butler looks like the second or third best shooting guard in the league. 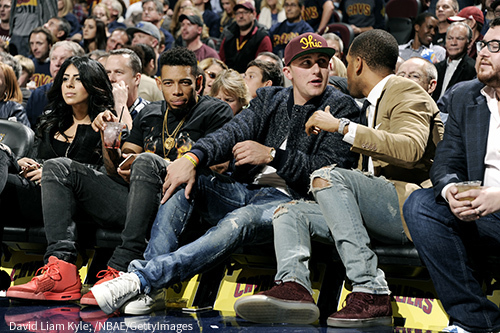 View all Bulls vs Cavaliers Tickets for the United Center. The Wizards were the team to eliminate the Bulls from the 2014 playoffs. And it wasn’t pretty, with Washington racing to a 4-1 advantage. The Bulls were low on offensive firepower last year, but this time, things look different. This will also be a testing game, where teams looking for a long playoffs run experiment between each other. Both the Bulls and the Wizards are poised to be in the playoffs, but just for how long, it is unknown yet. 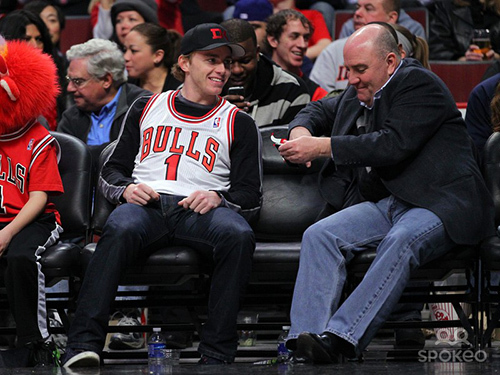 View all Wizards vs Bulls Tickets for the United Center. Considering how tight the race is in the East, which happens for the first time in years, wins versus top 4 teams are important as ever. The Bulls beat the Raptors two times already, but if they manage to win one more, they will hold the tiebreaker, a nifty asset in the playoffs. Hopefully, for the March game, fans can see both the Raptors and the Bulls backcourt healthy. Head to head matchups between Butler/Rose and Lowry/DeRozan are a delight, and the real winners are the fans who get to see them. View all Bulls vs Raptors Tickets for the United Center. To close out the season, Chicago welcomes Atlanta. The teams are currently in the top 4 in the East, and considering all the facts, they might stay there by the end of the season. The Hawks won the first matchup, and the teams play in January in Chicago as well. However, the last game of the season might decide which team is ranked 1-2-3-4. The race is tight in the East! View all Bulls vs Hawks Tickets for the United Center. It seems like just a season ago the Celtics were on top of the world and had an average ticket price of $150.00 a ticket. The average Celtics opening day ticket price for games at the TD Garden have fallen to an average price of $66.00 per ticket on the secondary market currently and giving the opportunity for the Boston Strong to get some great deals on Celtics Tickets even though they are rebuilding. For the Celtics, this season is officially over. All that is left is to see how high they will rank in the draft order. Ideally, the Celtics would love to be lower, but it is hard to believe they can fall to the top 5, even with Rajon Rondo traded. The remaining games are all for improving the youngsters, especially Marcus Smart, and a chance to boost the value of some of the veterans so that they can trade them. However, there are games that matter and can be fun. All you need to know about the importance of this game is that the Celtics increased the price of the tickets. This will be the first return of Rajon Rondo, who was traded to the Mavericks just a few days before. Aside from Ray Allen, all members of the Championship team in 2008 got a warm welcome to the Garden, and Rondo should be no exception. 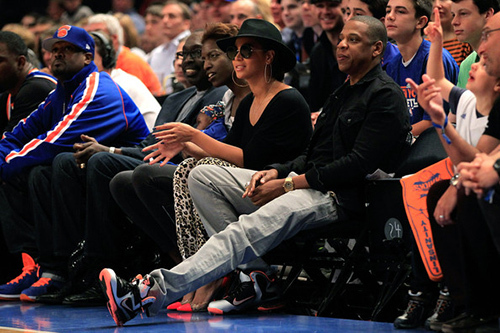 View all Celtics vs Mavericks tickets for the TD Garden. The green team makes their annual visit at the Madison Square Garden, an arena famous as much as the TD Garden in Boston. Both teams are in the bottom of the Atlantic Division, but that doesn’t mean their duel will be less interesting. The teams have been rivals for years, and having a weaker team won’t stop that rivalry.View all Knicks Opening Game tickets for the Celtics game at Madison Square Garden. The duel between the two storied franchises will always attract attention, even when both are fighting for a higher draft pick. It will be a long time before any of the teams compete for a championship, but they will endure, as they have in the past. And the Lakers still have Kobe Bryant, one player that loves competing with Boston due to the history of the two teams. View all Lakers vs Celtics Tickets for the Staples Center. Neither team will admit it openly, but both are hoping for a higher draft pick. Their duels might be a direct factor in the draft order, as they are very close in the East rankings. The Pacers, at least on paper, are trying to get to the playoffs, but that is a pipe dream. With Paul George sidelined by the end of the season, and considering their salary situation, getting a high draft pick is a valuable asset for the future. View all Pacers vs Celtics tickets for the Bankers Life Field House. The Celtics close out the season in Milwaukee the following night, but they say goodbye to their fans at the Garden versus what is now the clear winner of the Atlantic Division, Toronto Raptors. It will be a nice chance for the fans to show respect to their team for the last time this season and hope that the next one will be better. The Celtics have a chance to remake their roster this summer. View all Celtics vs Raptors tickets for the TD Garden. Surprise, surprise! 30 games into the season and the team many expected to be in the lottery or fight for a playoff spot is second in the East. For the past month, the Hawks are one of the top 3 teams in the league. The players and the staff managed to block all the Danny Ferry rumours and media rumblings, and are now looking to take advantage of the situation in the East. There is no clear favorite in the East, unlike the past 3-4 seasons, when Miami was the team to beat. At the moment, the East is wide open, and everyone has a chance, so why not the Hawks? There are still important games to play, and the following five are the most important for the Hawks. The Hawks and the Wizards are in the top 4 teams in the East. They are also in a wire to wire race for the division title in the SouthEast. The Hawks won the first game in Washington, and if they can capitalize and win at home, they will have better chance to hold the tiebreaker with the Wizards. A division title guarantees home-court advantage in the first round at least, and considering rankings at the moment, Hawks and Wizards might play in the second round of the playoffs. View all Hawks vs Wizards Tickets for Philips Arena. If the season ended today, the Raptors would be first in the East, and the Hawks would be second. The Raptors seem to be dominating the Hawks this year, as they beat them twice, once at home, and once on the road. For the Hawks, it is important to get a win versus the top team in the East, at least for confidence. And the race for the top spot is still wide open. Both teams are playing awesome basketball recently, so the duel in Canada will be entertaining. View all Raptors vs Hawks Tickets for the Air Canada Center. The Hawks haven’t played the Warriors yet. Both their defence and offence will be tested versus one of the best teams in the league. If Andrew Bogut is healthy by then, the Hawks might have troubles scoring. And if there is one team that shoots 3s as well as the Hawks that is the Warriors. Additionally, Korver and Curry are two of the player’s defences pay most attention to, and players opponents are glued to. Therefore, it will be fun to see how they handle each other. View all Hawks vs Warriors Tickets for Philips Arena. The Hawks have beaten the Cavaliers twice this season out of the three meetings so far, and this last meeting could have big playoff implications for home court advantage. Cav’s Lebron James is averaging 25.2 points a game versus Hawks Jeff Teague’s 16.9. Big Man Kevin Love is pulling down 10.1 rebounds a game right now versus Paul Millsap’s 8.1. While Atlanta is on a hot streak winning 8 of their last games the Cavaliers are still looking to pull things together winning just 5 of their last 10. View all Hawks vs Warriors Tickets for Philips Arena. They call the Hawks the San Antonio Spurs of the East. And with Mike Budenholzer on the sidelines, a former Spurs assistant, that is true. Budenholzer has managed to copy the space, move the ball, corner 3s system that the Spurs employ to perfection. And the results are showing. The first game between the two was a close one, with the Spurs prevailing 94-92.Hawks vs Warriors Tickets for the AT&T Center. For the Hawks, this is their last game of the season. Considering the playoff race in the East is as close as ever, the last game might decide whether a team finishes 3rd, 4th of 5th. The Bulls are also one of the top teams in the East, and winning against them just before the playoffs start is a confidence booster. Add the difficulty of playing on the road, and the Hawks have a hard task before them. Bulls vs Hawks Tickets for the AT&T Center. Prices for Atlanta Hawks tickets for games at the Philips Center have averaged $92.00 per ticket currently with getting’in are as low as $10.00 per ticket for games such as the Hawks vs 76ers and Detroit Pistons. The Los Angeles Clippers looked tired last late in the game against the Toronto Raptors at the Staples Center in their 98-110 loss. The Clippers have gone without more than one day off in in-between games in their last three-week schedule, and it showed from the second quarter on. The emotional Christmas day between the Clippers & Warriors at the Staples Center then the Raptors who are in first place in the Eastern Conference and now they play again Dec 29th against the Utah Jazz followed by Dec 31st against the Knicks. Although both teams aren’t playing that great right now with almost no rest, it’s easy to see potential losses for the Clippers who are playing on fumes, and it’s not even halfway through the season. You can see the up’s and down’s in the Clippers last nine games. Congrats to JJ Redick who surpassed the 5,000 career point mark in the game last night. The loss also snapped the Clippers eight-game win streak at the Staples Center. The Raptors and Clippers will tip off again one more time this season, but it will be at the Air Canada Center. 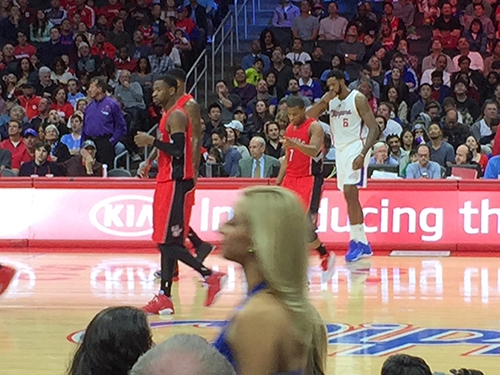 Below are some shots I took from the Clippers vs Raptors game at the Staples Center last night. ‘Tis the Season of Dunks” for the Los Angeles Clippers! The Clippers ended November with an 11-5 record placing them three games back from their rivals the Golden State Warriors. LA plays 11 games at the Staples Center during December with the biggest one being the Clippers vs Warriors Christmas Day game which is also Argyle Santa Hat Giveaway! Don’t miss any of the action! With 100% Verified Clippers Tickets as the Official Partner of the Clippers and an office right next to the Staples Center for FREE Pick up of your tickets. Barry’s Tickets has you covered no matter your Holiday Budget! The Timberwolves are a young team, and this will be the first time the first round pick Andrew Wiggins comes to town. He might not be ready for stardom, and is still a work in progress, but the kid shows flashes from time to time about how great he can be. The duel could be a lot more fun if Rubio wasn’t injured, but there is still enormous potential for an exciting game. Minnesota is a lottery team, but the guys play hard, they compete for 48 minutes, and provide a highlight or two. Clippers vs Timberwolves tickets are still available. Tobias Harris, Nikola Vucevic, Victor Oladipo and Elfrid Payton are a young core that can do some serious damage in the next 2-3 years. For now, Vucevic is the only proven player from the group. The Serbian center can go for 20 and 20 at any given night, and the Clippers must contain him in order to win. Deandre Jordan will have his hands full, but he might serve a poster for Vucevic.You can purchase Clippers vs Magic tickets for the Staples Center. Blake Griffin versus Anthony Davis! Can the casual fan ask for more? Probably not. Two of the best power forwards in the league go head to head in a matchup that should provide enough entertainment and highlights. Davis is arguably the MVP of the first month, and if he continues his strong play, and the Pelicans make the playoffs, there is no reason he should not win it. The Pelicans will visit the Clippers once more this season, but at the moment, both teams are at full strength and playing good basketball. Purchase Clippers vs Pelicans tickets. Two seasons ago, Eric Bledsoe was backing up Chris Paul. Now he is running his show in Phoenix, where Coach Jeff Hornacek has the Suns playing hard and at a fast pace. Besides Bledsoe, the Suns have two more point guards that can cause damage in Dragic and Thomas. But none of them comes close to the level of CP3 and his playmaking and shot making abilities. And the Suns frontline is weak compared to the big guys the Clippers boast. The Clippers already beat the Suns on 15th November. Order Clippers vs Suns tickets today. Few teams can match the frontline of the Clippers, and the Pistons are one of them. Their record doesn’t reflect their talent, but Andre Drummond is a beast, and Greg Monroe is one of the best copies of Tim Duncan and his sound and fundamental post game. The Pistons are still figuring things out, but they can be dangerous. And they are the Eastern Conference team leader in alley-oops with Drummond reaching for every ball that comes close to the basket.Order Clippers vs Pistons tickets today. Even without Paul George and Lance Stephenson, Indiana has managed to hang in the top 8 in the East. After a few games, the team is playing motivated and engaged. The Pacers already have some quality wins (versus Dallas, Miami and Chicago), and there is no reason to doubt they will bring their A game. Roy Hibbert and David West are a good inside duo, posing challenges for Griffin and Jordan. CP3 might have his way with the point guards of Indiana, but he will need help to carry the Clippers in this one. Order Clippers vs Pacers tickets today. Giannis Antetokounmpo is a reason enough to tune into this game. The Greek Freak is playing excellent basketball at the moment. Coach Jason Kidd has his team playing inspiring basketball, and his players give their all. Few people had the Bucks at No.4 in the East going into December, but the Bucks are going back to their “Fear the Deer” campaign. They are a dangerous team, and rookie Jabari Parker is playing better by the day. Order Clippers vs Bucks tickets today. These two teams have a long history in the past few years. Every matchup brings tension as a playoff game, and players from both teams have admitted they do not like each other. 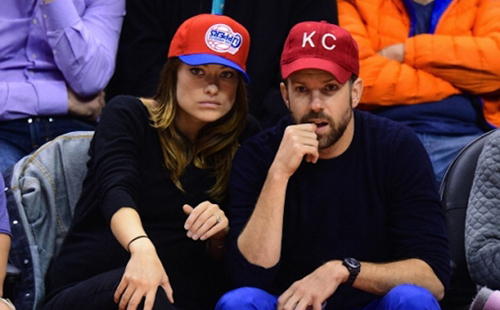 They’ve met in the 2014 playoffs, with the Clippers advancing. But this year, with Steve Kerr on the coaching seat, the Warriors are playing even more efficient basketball with more ball movement. The Splash Brothers are killing it, and Curry is a time bomb waiting to happen. The Warriors are second in the Western Conference, just a half game behind Memphis going into December. Not to mention, a Christmas matchup is always a special one. Order Clippers vs Warriors tickets for their Christmas Day game at Staples Center today. The Raptors have been arguably the best team in the league over the first month. They lost to the Western leading Grizzlies to close out November, but they are still the best in the East. Nobody expected them to be this good, but they are proving experts wrong. Fresh off an extension, Kyle Lowry has matured into a great leader at the point guard position. While many see the highlights from Demar Derozan and Terrence Ross, Lowry is the machine that carries the Raptors. A matchup with CP3 is a great chance for Lowry to show his worth. 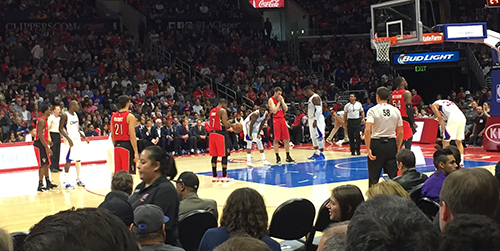 Purchase Clippers vs Raptors Tickets today. After wining some games to start the season, the Jazz are back where they belong, in the lottery. They should stay there for a season or two more, but they have solid young guys that can be dangerous. Gordon Hayward is one of them, and this season, the Clippers are having troubles with small forwards. Hayward has proven he is worth the money Utah put in him, and he might go off versus the Clippers. 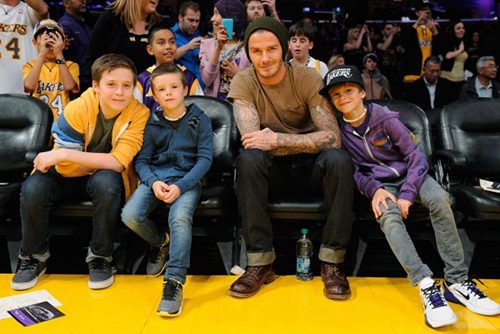 The team from Los Angeles won the first meeting between the teams. Purchase Clippers vs Jazz tickets today. 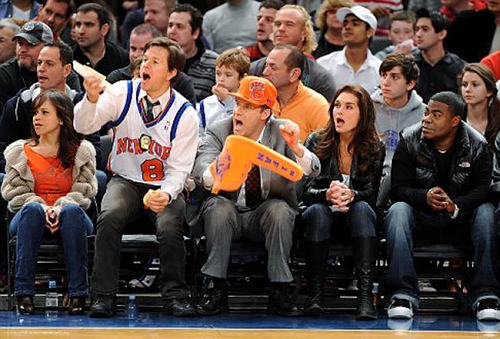 There are few things that are more entertaining on New Year’s Eve than a matchup between the Clippers and the Knicks. 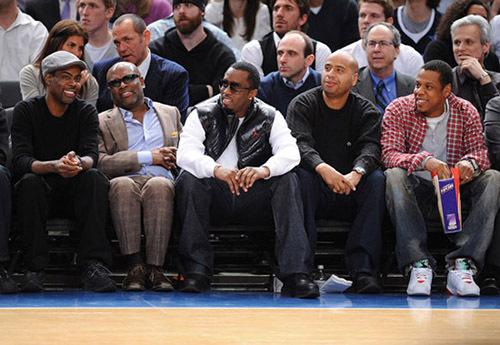 Fate didn’t let Carmelo and CP3 to play together, so they must compete against each other. The Knicks are still adjusting to the triangle, and Melo is having back issues, but he should be healthy for the game. Clippers vs Knicks tickets are available for all sections of the Staples Center. 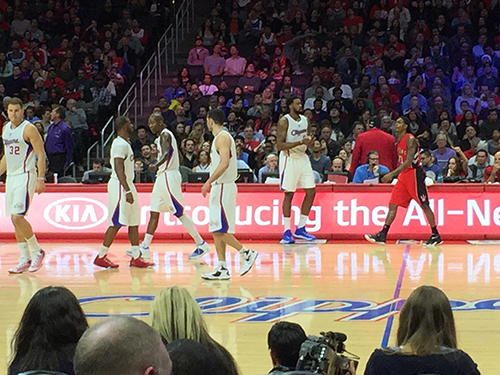 Use BTIXDEC15 to get a $15.00 off $150.00 or more on on Clippers Tickets marked BV! The Staples Center is located at 1111 S Figueroa St, Los Angeles CA 90015. You can checkout our Clippers Seating Chart if or if you need information about parking at the Staples Center.